Gov. 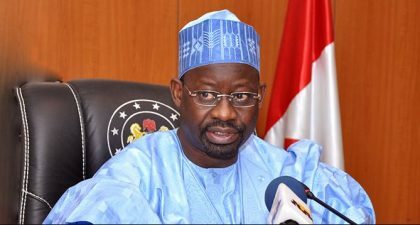 Ibrahim Dankwambo of Gombe State has inaugurated Board of Directors of the State Internal Revenue Service (IRS)and the State Investment and Property Development Company (GSIPDC) with Alhaji Mohammed Damji and Alhaji Lamido Yuguda as the chairmen. The governor said at the inauguration held on Monday in Gombe that the board members’ appointment was based on professional competency, honesty and track record experience. According to him, the appointments will help the organisations to function effectively for the development of the state. He urged the board members to bring their wealth of experience and proven integrity to bear in the discharge of their duties. He said that the task of nation building required collective effort and urged staff of both organisations and people of the state to support and cooperate with them to discharge their duties effectively. Dankwambo also called on Ministries, Departments and Agencies to cooperate and collaborate with the IRS by supporting and ensuring that they complied with the reform programme of the state government on revenue generation. “I also urge our Local Government Councils to key into the reform programme of the board through the State Join Revenue Committee (SJRC) under the chairmanship of the executive Chairman of IRS to improve on the revenue process, ensure avoidance of double taxation”, he said. Responding on behalf of the board members, Alhaji Lamido Yuguda thanked the governor for finding them worthy and assured to do their base in the discharge of the duties.